Wishing Everyone a Merry Merry and a Happy Happy! 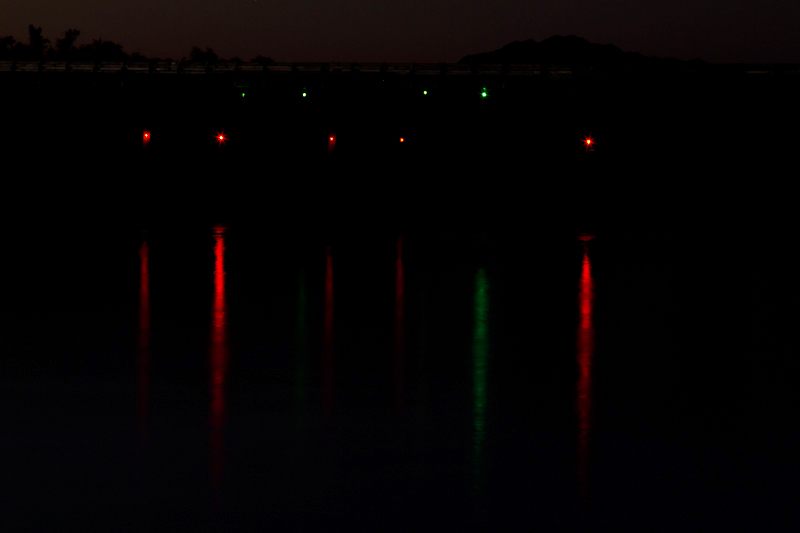 The first is of navigation lights on Oxbow Bridge near Cibola NWR. This is one of those scenes that look better in person than in a photograph. I’ve photographed this scene a dozen times and just can’t do it justice. Yet, when I’m parked by the Colorado River, watching the red and green lights sparkle in the water, it’s magic. 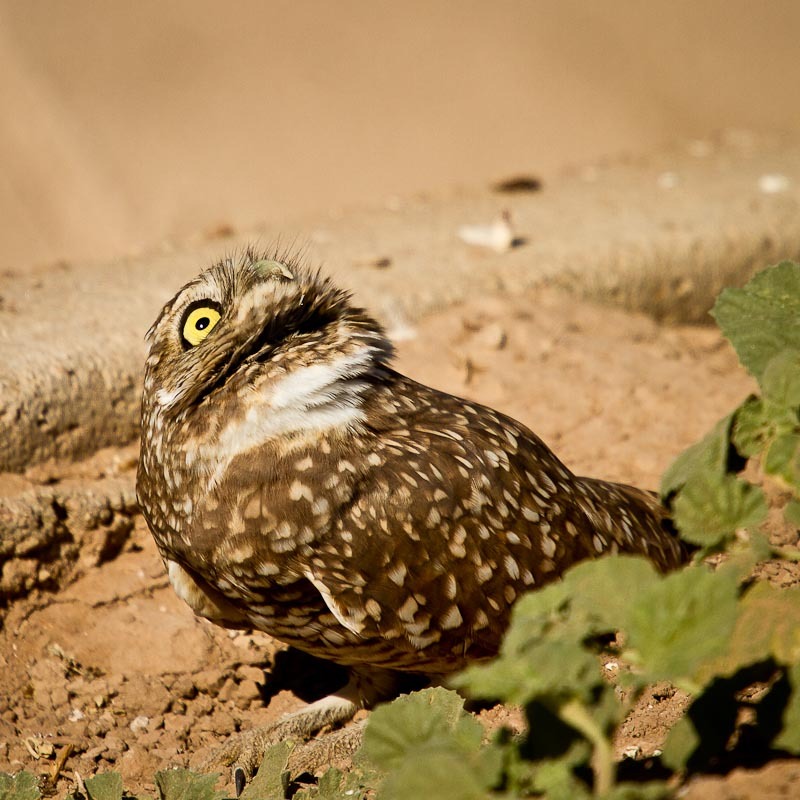 The second is a burrowing owl near Sonny Bono NWR at Salton Sea. I was reconnoitering the area for an upcoming shoot when I saw a nesting pair. Pops immediately flew off to draw me away while Ma stood guard. I only had a 70-200 with a 1.4TC and I was 20 feet away. It took me an hour to inch toward her, 10-12 inches at a time. In the end, I was within 10 feet. It was only when I tried to get down on my knees that Ma got nervous and flew the coop. 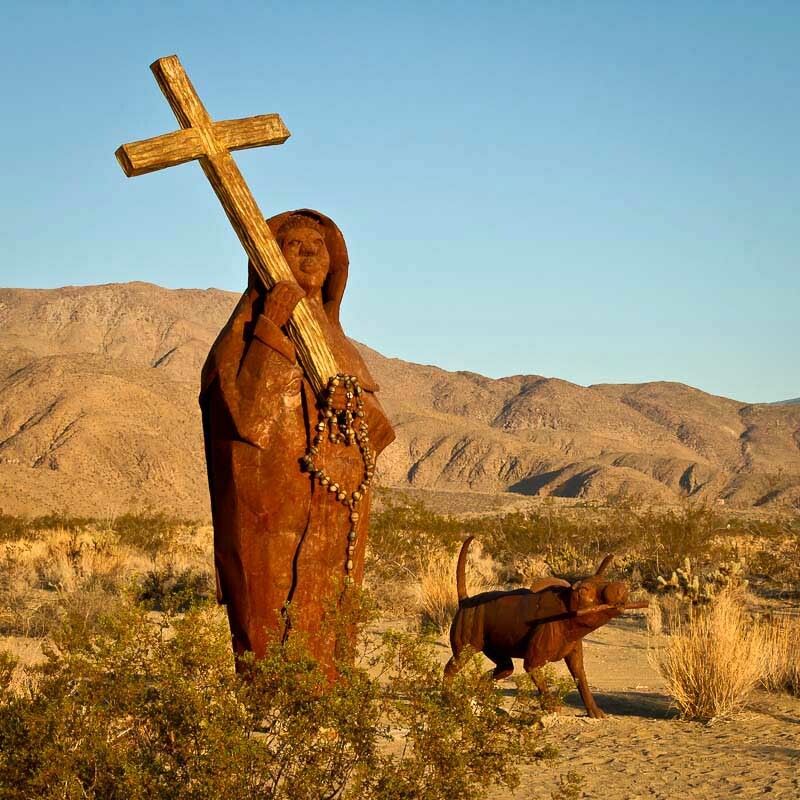 The last is of a monk and his dog at Galleta Meadows around Borrego Springs. There are dozens of sculptures commissioned by Dennis Avery of Avery Labels who recently passed away. Note how I used the bush in front as both a foreground element as well as to hide the fact the monk has no feet. As usual, spam & scam rates spike over holidays. Be careful out there. Most are pretty obvious but more and more are somewhat believable until you think about it. I recently ordered some parts for my truck. A few days later, I received an e-mail purported to be from FedEx saying they needed info to deliver a package. When I thought about it, I recalled the vendor had sent an e-mail saying the product had been mailed via USPS. Since I trust the vendor, I feel this was pure coincidence. Scammers know we’re all sending and receiving packages this time of year.